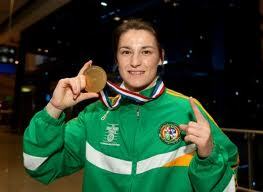 AIBA, the International Boxing Association, has come out with their first world rankings. The rankings are based on AIBA’s scoring formula as of April 1, 2012. It makes for interesting reading ahead of the 2012 Women’s World Championships especially as the top eight of each of the Olympic weight categories will be selected to compete at the Olympics in July. It should be noted that the rankings do not reflect the recently completed 2012 Women’s Elite Continental Boxing Championships. USA Boxing champion Marlen Esparza is ranked 7th overall, just behind India’s great champion Mary Kom who is ranked 6th. Undefeated USA Boxing champion Claressa Shields is ranked 9th overall. 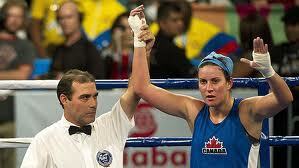 Shields defeated Spencer in the recently concluded Women’s Elite Continental Boxing Championships. « Great boxing video by artist and amateur boxer Desiree D’Alessandro!